Tenor Richard Heard and pianist Pamela Howland will perform “French Art Songs” at Wake Forest University Tuesday, March 17, at 8 p.m. The free concert will feature songs by Maurice Ravel, Gabriel Faure and four other French composers from the late 19th and early 20th centuries. Howland has performed extensively as a soloist and chamber musician in North and South America. A featured soloist on live public radio broadcasts in Minnesota, New York and North Carolina, she has also been a regular guest performer at the Chatauqua Institution’s Summer Music Festival. Her first compact disc, “Piano Music of Robert Schumann,” was released in 1996. 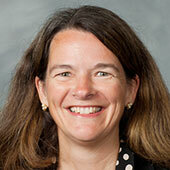 Heard, who has taught at Wake Forest since 1996, was a regional finalist of the Metropolitan Opera Auditions. He has received prestigious awards and grants from the National Society of Arts and Letters, Rotary International and others. Most recently, Heard was among the finalists at the American Traditions Competition, held in Savannah March 1-8. His first CD, featuring “Artsongs by African-American Composers,” will be released in September.